Reputation Enabled Defense is a cloud-based web security subscription that ensures a fast, secure web browsing experience. This unique gateway solution relies on a comprehensive reputation lookup that identifies and blocks malicious URLs at the connection level, while allowing safe URLs to pass through. Because only unknown URLs need to undergo further AV scanning, the increase in overall web throughput is significant. 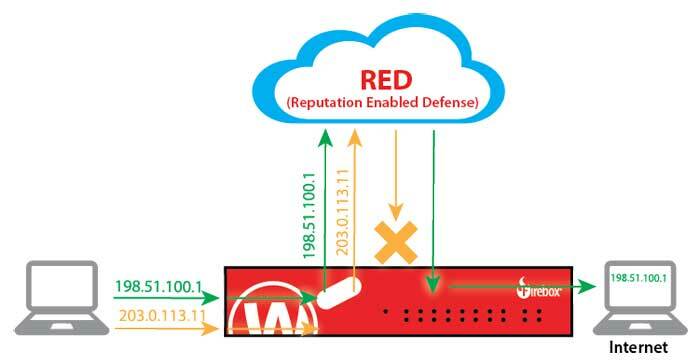 WatchGuard Reputation Enabled Defense relies on a powerful, cloud-based web reputation service that aggregates data from multiple feeds, including industry-leading antivirus engines, for real-time protection from web threats. Traffic to URLs with a bad reputation are blocked immediately, freeing up your box to do more important tasks instead of constant AV scanning. Tests show a reduction of up to 50 percent in antivirus processing. Networks of infected computers, known as a botnet, are used by cyber criminals to attack or infiltrate specific targets. Unsuspecting employees inadvertently join botnets after falling victim to a drive-by-download or cleverly crafted phishing email. 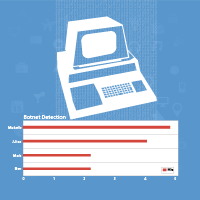 With WatchGuard’s Botnet Detection integration into Reputation Enabled Defense, organizations gain real-time visibility into infected clients and are empowered to quickly take action. 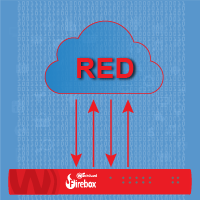 IT administrators use one interface to manage this subscription along with all other WatchGuard Security Services. 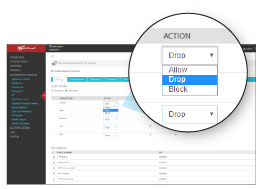 Reputation Enabled Defense can be managed with either the intuitive centralised console or the handy web UI for maximum flexibility. 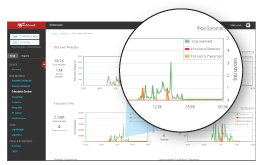 You can enable bypassing of know safe URLs for optimised performance, block known bad URLs for better security, and choose to enable automatic feedback with the WatchGuard threat intelligence system to constantly improve and update the service.. Using WatchGuard Dimension, quickly view the total number of scanned URLs and see how many were identified as a threat. You can also view the number of individual connections, the top blocked botnet sites, clients and destinations, and the protocols used.